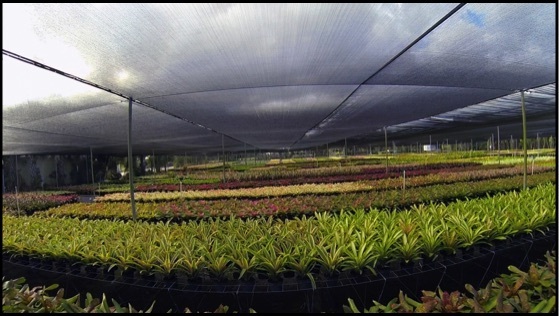 From the Las Vegas strip to the Smithsonian, our nursery ships to hotels resorts, big box stores, and garden centers throughout the US and carribbean. Our plants had the distinguished honor last year of winning innovative vendor of the year from a national home improvement store. If you would like additional information about our company and products, please contact us for a wholesale price list. We are California/Arizona certifed. Our company started with humble beginnings in 2003 on a small 1/2 acre lot in west Miami. 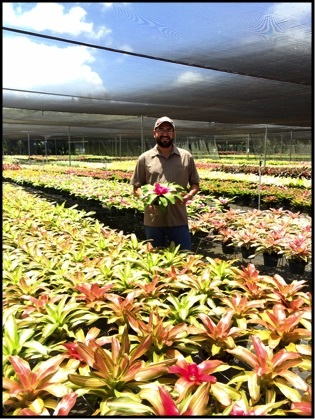 One year later, the nursery relocated to a 5 acre lot in the Redlands with a new business model on breeding and growing bromeliads for a national wholesale market. Since that time, our business has grown to over 20 acres with over 400,000 sf. of shadehouse production.